To take advantage of the exceptional sunshine enjoyed by the Gulf of Saint-Tropez throughout the year, Rafflin Alu & PVC proposes elegant and modern design patio and sliding doors enlarging and illuminating the spaces and promoting the intake of solar energy. Our different solutions serve the construction and renovation projects and perfectly match with all types of architecture and large spaces.Designed to ensure the maximum mechanical and thermal performance, our sliding doors are ergonomic and safe thanks to our models from 1 to 3 closing points and anti-burglary resistance. 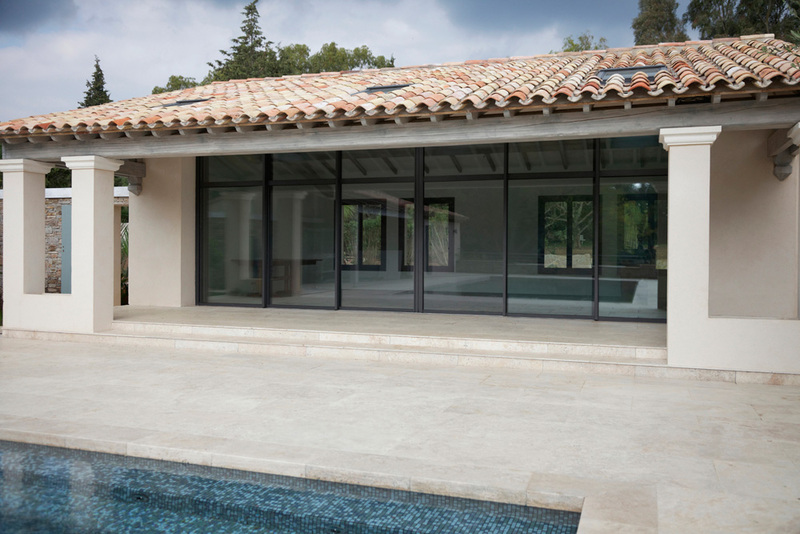 Rafflin Alu & PVC proposes different kinds of windows for both new construction and renovation projects all perfectly suitable to the Gulf of Saint-Tropez climatic conditions. Within our range we offer a very high level waterproof and windproof product perfectly adapted to cope with heavy rainfall during periods of flooding, while providing maximum isolation to your spaces in terms of thermal and phonic. Our products meet the coefficient of isolation that gives you the right to the tax credit and provides scalable performance to meet the different levels of “Grenelle Environnement”. The quality of our closures associated with reinforced handles ensure a better domestic security. Available in Aluminium, wood and PVC our windows are in perfect harmony with the architectural requirements of your projects as they combine aesthetics and performance. Aluminium frames : Best suited for sliding systems and large dimensions. The slimmer aluminium profile optimizes the surface clarity gain. PVC frames: Ideal for renovation and replacement of existing frames as PVC ensures efficient isolation and waterproofing. Wood frames: Warm and traditional, nowadays wood offers optimal levels of performance and ease of maintenance. Mixed Wood / Aluminium frames : Tradition and warmth without external maintenance.